Stow-A-Way Marina is ready to provide another year of marina services for the fisherman, boater and other lake lover. Nancy Richardson, President and co-owner of Stow-A-Way, and her husband, Jerry, are eagerly awaiting the summer crowds with a season full of lake-related activities. Jerry owned and operated Richardson Chevrolet in Houston until 1987. He then invested in a boat storage facility across Calvary Road from where the marina stands today. He purchased the 15 acres of the marina grounds in an auction in 1988, sold his interest in the boat storage business and got to work on his new marina. Business has been great since the Richardsons opened their doors at Stow-A-Way. 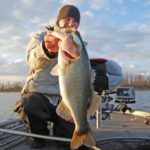 They cater to the fisherman in the spring and mostly boaters from May to September with July being their busiest month of the year. Jerry says he really doesnâ€™t have a slow month all year. Jerry and Nancy are recreational boaters themselves. They own a pontoon boat they like to run on Lake Conroe. Jerry and Nancy live very close to the marina, which is located on Calvary Road just north of the 1097 bridge, but theyâ€™ve recently turned over management of the marina to Jim and Cat Peeler. Among the many things Stow-A-Way has to offer, you will find 40 wet slips, an RV park with 75 spots, concrete bulkheads, three boat ramps, a pavilion, Bar-B-Q building, restaurant, grocery store and hi-octane gasoline for both boats and automobiles. Boats are available for rental and a new stage for presentations and seminars has recently been erected on the marina grounds. The RV park has concrete streets and concrete pads, water and sewage connections and electricity hook-ups. Only the best for the guests of Stow-A-Way! A bathhouse for men and women is also available in the RV area. The grocery store has plenty of camping and water-skiing equipment for all customers of the marina and Jerry is especially proud of their wide selection of wines and beers they keep on hand. 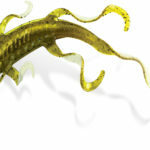 The store provides a full tackle shop with both live and frozen bait. 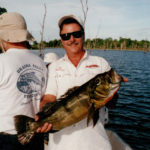 Fishing licenses are available at the store and the marina provides a professional fishing guide service through Butch Terpe, who lives on the premises. 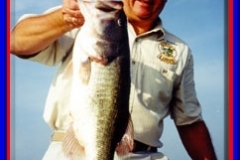 Butch has been with the marina since it opened and he says he considers himself â€œpart of the Stow-A-Way team.â€ The Richardsons are involved in several tournaments and other conservation-related activities on Lake Conroe. 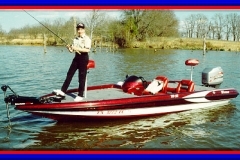 â€œOn April 23rd,â€ Jerry says, â€œweâ€™re hosting the San Jacinto River Clean-Up Project, which is co-sponsored by the National Forest Project and the San Jacinto River Authority.â€ Probably the most famous tournaments of Stow-A-Way Marina are the Sunday Morning Tournaments. â€œThese are amateur team tournaments with $40.00 entry fees and 100% payback,â€ says Richardson. 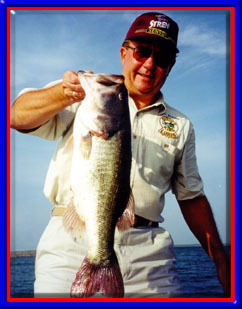 Jerry is President of the Lake Conroe Marine Association and also serves as the Tournament Director of LCMA. The LCMA Team Tournaments will be held at Stow-A-Way on May 21st and 22nd. This tournament has a $100.00 entry fee with an optional $20.00 Big Bass category. First place is an estimated prize of $5000.00! 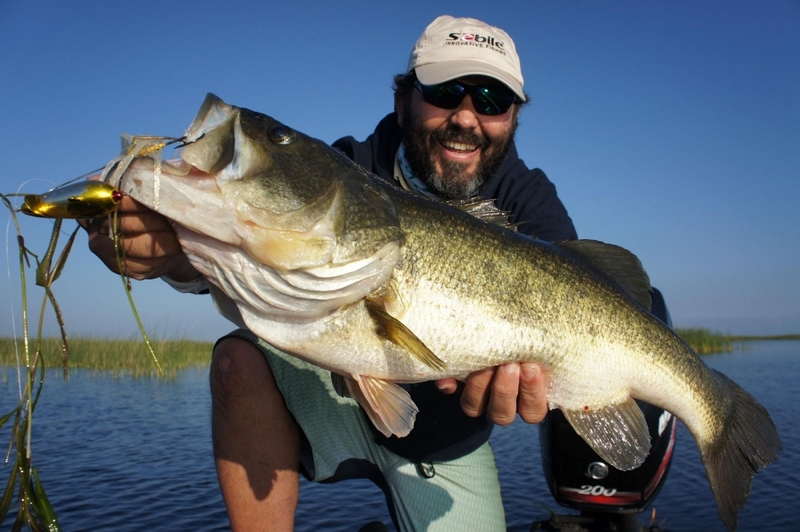 The tournament boasts a 95% payback with 5% going to the Lake Conroe Restocking Program. 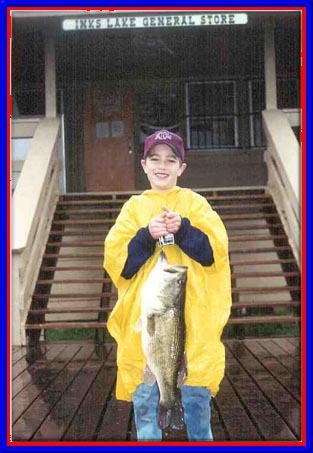 Both the Richardsons and LCMA are active in the Lake Conroe Restocking Program, which goes to great lengths to be sure Lake Conroe is stocked with a good supply of bass and crappie. â€œThe program owns six restocking ponds on Highway 1097 that the state stocks with 1-200,000 baby bass fingerlings each year,â€ Jerry explains. 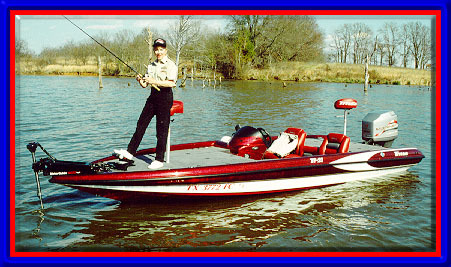 â€œThe bass are fed minnows for 75 days from mid-April through June. Once the bass have reached adequate size, they are released into Lake Conroe.â€ The Lake Conroe Restocking Program also released 42,000 crappie into Lake Conroe in January. â€œThese crappie were commercially raised,â€ Jerry says, â€œand were three to five inches long at the time of release.â€ The Houston F.I.S.H. 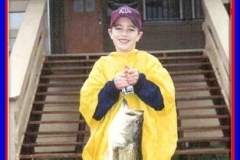 bass club will hold their 13th Annual Take A Kid Fishing Tournament at Stow-A-Way on August 6th this year. 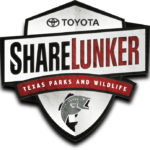 This tournament benefits the Sunshine Kids, providing sports-related activities for children with cancer, and other conservation projects like the Lake Conroe Restocking Program. This tournament is also a team tournament requiring one adult to pair off with one child and all the prizes are awarded to the child. The entry fee is $20.00 per team. In addition to the fishing tournament, other activities offered include the casting contest, instructional seminars, a Texas-sized auction, awards presentations and door prizes. Itâ€™s safe to say Stow-A-Way Marina has quite an exciting summer planned. I hope to see you there!